Okay, I think we’ve all come to the conclusion that Roseanne Barr for as talented and funny as she is, she is a bit off her rocker. In addition to the remarks that sunk her successful reboot of her self-named 90’s sitcom, Roseanne has made some controversial Tweets in the past concerning conspiracy theories and such. After losing her show, you would think she would lay low and try to find her way back to television or, at the very least, respectability. Nope. 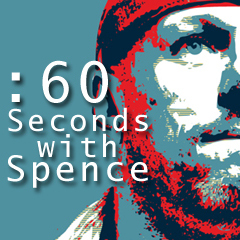 In this edition of “60 Seconds with Spence,” we find the same old Roseanne, spouting off and acting nuts. ***Warning: Profanity*** Roseanne, you potty mouth.